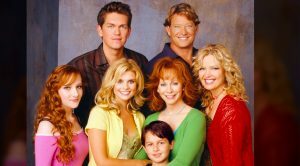 “Neon Church” was even designated as a single, making it obvious that an album is in the works for the country superstar. Prior to the release of the songs, McGraw wiped his social media accounts clean, signifying that something big was to come. This is a tactic many artists have followed in recent years to indicate their plans for a “fresh start” with new music. That’s exactly what seems to be the motive by McGraw’s social media purge. Anyone who has heard “Neon Church” and “Thought About You” knows how different they sound from his previous songs. McGraw called this out himself, saying that the tracks “absolutely give a sense of where I’m going with my next project.” The album would be his first solo release with new label, Sony Music Entertainment. But even though McGraw is busy gearing up for big things to come, he still found some time to have fun at one of America’s favorite theme parks. As McGraw wrote on social media, he was invited to attend Universal Studios Hollywood by NBCUniversal Vice Chairmen Ron Meyer. It seems that McGraw had a fun day taking in everything the park has to offer. Thanx Ron Meyer and @unistudios for a great afternoon!! As he was strolling through the park, one common carnival game caught McGraw’s eye. 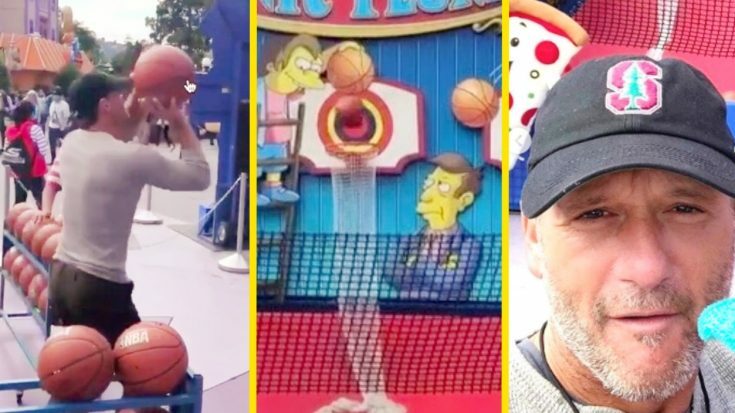 The premise of the game is to toss a basketball through a hoop from a distance, and if you get just one basket within your assigned time frame, you win a prize. Luckily for McGraw, he landed on the dunk side of the equation. He conquered the game, and managed to score a basket after a series of misses. But what had fans talking even more than McGraw’s basketball skills was the odd prize he earned for winning the game. 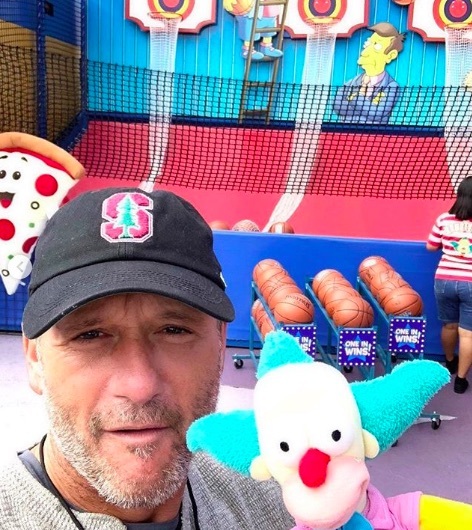 In the Instagram post that featured the video of him playing the game, McGraw also shared a photo of the “trophy” he got to take home. The prize was none other than a small plush toy resembling the Simpsons character Krusty the Clown. McGraw held the prize up for the camera, and the look on his face was priceless. Many others couldn’t help but reference McGraw’s number one hit from 1995 “I Like It, I Love It.” In that song, he sings of how he spent $48 dollars at a county fair and threw out his shoulder just to win his gal a teddy bear. Hopefully not, but even if it did, we’re glad to see that McGraw had a fun time! Have y’all ever played that same game before, and won? What was your prize?